Just when I thought you were going all MTR, back to real music. thank you. ps do I mean MTR? perhaps MOTR. Getting late: MoTR is for Happy Austerity Yooltide. 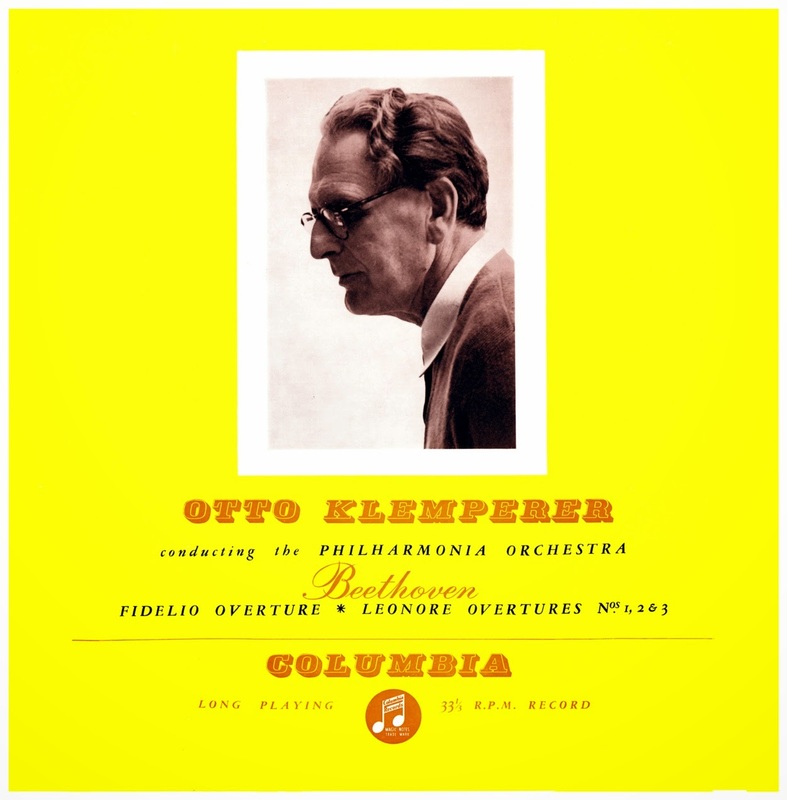 Thought I'd peddle some (unnecessary) Golden Oldies for a change (got this for a few pennies in the last auction lot (Concert Hall abounding) - 21/- secondhand/new..there was a great Beethoven 7/ VPO Solti - mint original SXL, too from the same 'source'...plus Otterloo's on Concert Hall - not bad, that. And enjoy your Holidays too! I really should've changed ISP's a few weeks back as one offered a years free internet (+£100 shopping voucher) - but may do as mine is getting far too expensive for any real/limited use I have - so there may be quite a hiatus in these blogs (or possibly will find another hobby..like listening to all those 1000's of never-heard LP's (etc) - but may do a few more for this blog.. I have to say that your transfer has much more air around the sound and more realistic sound than my copy of the EMI CD for the first two Leonore Overtures. Congrats on a great job! If you downloaded 24/96 then the quality-difference would be quite apparent. Side 1 has much more dynamic freedom than I would've expected from EMI during the '50s (though his 1955 Hindemith/Brahms is rather good - the Mozart 29/41 is less so - and matters tend not to improve) - hence don't consider uploading when there are CD's around due to the LP mastering factor - but this is special in every respect and thought it a wonderful and 'exciting' LP. 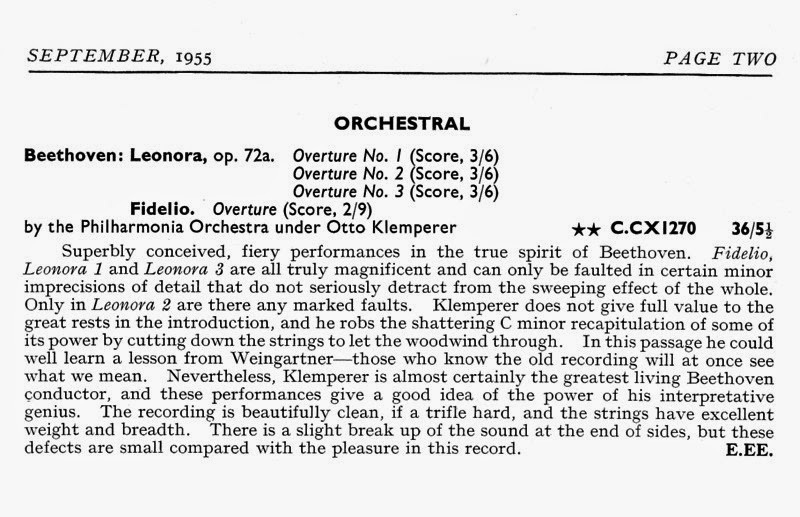 Klemperer is always welcome, nice sound from this beautifull 33 CX record, thank you. May do the Hindemith/Brahms 33CX1241 (new 1955 copy) - but 'sonic mismatch' between sides is quite common - and EMI only infrequently recut their 1950's mono. 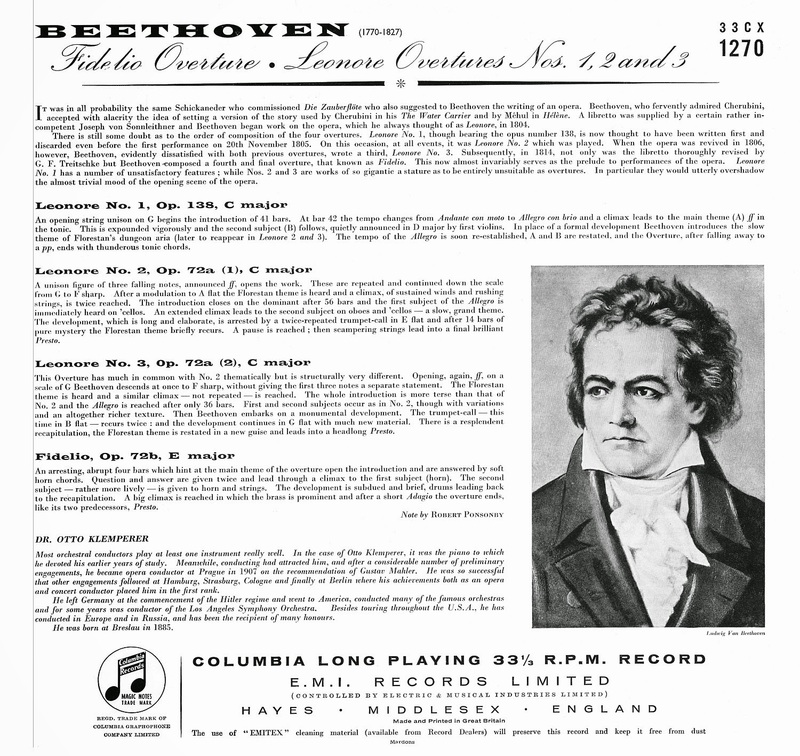 This was mastered to very high levels (like the original 33CX Beethoven 7) - which probably accounts for EMG's comment.